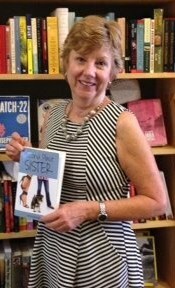 Sue and I met in 2012 when she joined my writers’ workshop at Foxtale Book Shoppe in Woodstock. I had the pleasure of conducting a complete content evaluation and edit on an early draft of her book in July 2013. . .and then congratulating her at the book’s launch event a short year later. 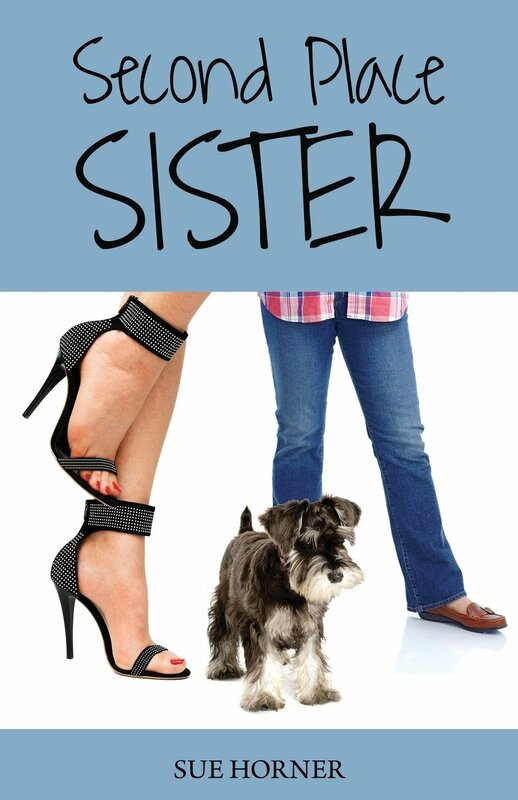 Second Place Sister is a humorous mystery by first-time author Sue Horner about big time sibling rivalry set among small town relationships. Ali, a forty-five-year-old wife, mother, and community volunteer, affectionately known as “St. Ali” in her quaint hometown of Willoughby, nervously anticipates the arrival of her older sister, Janelle, a bestselling romance author and all-around spoiled brat. Ali vows to stop being a bitter doormat and stand up to her diva sister. But when Ali discovers a secret that has the potential to destroy Janelle’s career and reputation, will she expose her sister, or, for the sake of family unity, will she protect her? Can the sisters finally come to terms with each other, or will their relationship disintegrate, bringing bedlam to Willoughby in the process? WSS: How long did it take you from conception to publication? SH: It seems as though it was lifetime. Still, I enjoyed writing, rewriting, and trying to find the perfect word or description. I began this book five years ago at age 65. I wanted to write a book before I died. It’s said that “Writers write what they know.” Is this true in your experience? Second Place Sister is set in a fictional town, but for readers familiar with Roswell, Georgia, where I live, they might recognize some places. As far as the relationship with my own sister goes, all those who know Jill and have read the book realize there is no connection. My initial order was seventy-five copies, which I sold in about three weeks. Sales on Amazon.com are steadily growing. It’s still too early for a royalty check. And whatever I receive will be a drop in the bucket compared with what I spent. I have no unreasonable expectations. It would be nice to break even, but. . .it was well worth it. I love how supportive everyone has been even before reading the book. The July launch party at Anna Lee’s in Roswell was attended by over 50. I also loved the Greensboro, NC, event later that month. I was overwhelmed because so many attendees had previously purchased the book, but wanted additional copies to send to family and friends for gifts. Some who had purchased on Kindle wanted a print copy so I could autograph it. And many made comments about the book that proved they read it! Any hints for budding authors? Write every day. Find a trustworthy and supportive writing critique group and then hire Wayne. To be successful, you have to write and rewrite, then edit, edit, edit. And then edit a little more. My group was there for me through every step. Wayne promised and delivered not only page-by-page comments, suggestions, and critiques on my initial draft, but also a nine-page overview which I referred to during the rewriting process. I hired him for an honest assessment, no matter how tough, but he also gave encouragement and compliments. Second Place Sister is available in print and e-book formats on Amazon. Sue is available for book club discussions and public events. Visit her website and reach Sue for more information about the book and appearances at www.suehornerauthor.com.